At hardy aerials we use 3 main aerials. 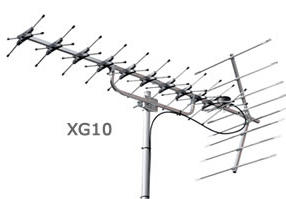 XG10 Digital TV aerials are designed for areas where signal strength can be problematic. The aerial is packed with features to help improve signal strength, the large reflectors are designed to reduce noise pick up. 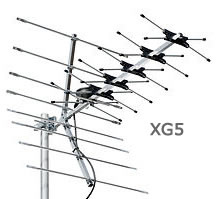 XG5 digital aerials are fitted in medium strength reception areas, they are a lightweight robust aerial and can be end mounted. They offer a 12db forward gain. 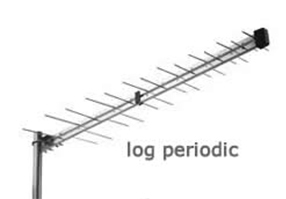 only industry recognized aerials and materials used including wf100 cable used as standard.